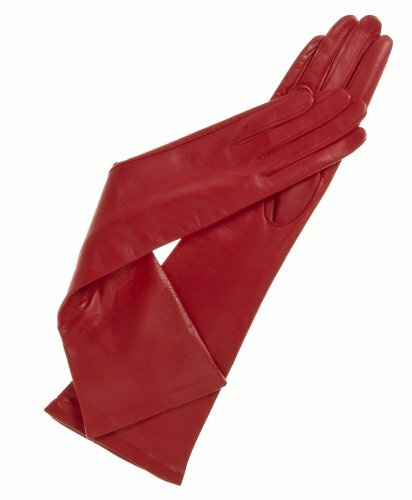 These long leather gloves for women are the perfect accessories for a special evening at an opera, a formal event or just a night on the town. There are no buttons, vents or decorative details, just a silky smooth classic style dress glove of the absolute highest quality, in the standard eight-button length that nearly reaches the elbow. The exceptional Italian glovemakers at Fratelli Orsini have included a beautiful and cool silk lining to complement the shell, which is a black leather of fine Italian lambskin. Made in Italy by Fratelli Orsini. SIZING HINT: These gloves run true to size.